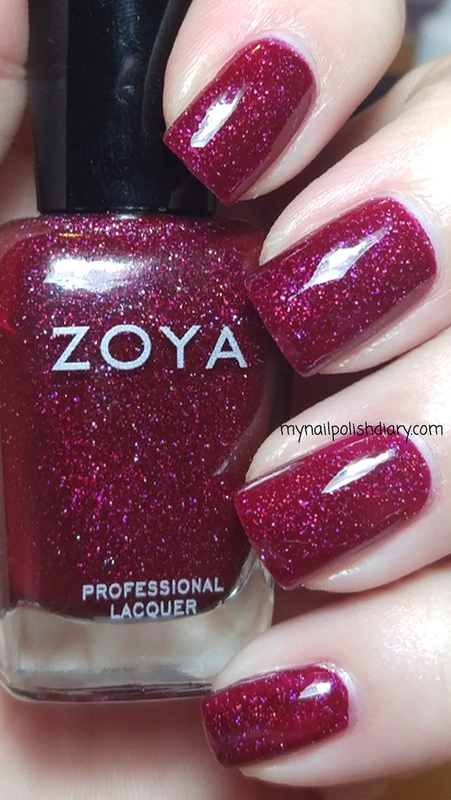 Zoya Blaze is one of those berry reds that I am always drawn to. I simply adore it. Zoya Blaze is from the Ornate Collection for Holiday 2012. It's a berry red with holographic glitter that isn't glittery or textured at all. It's very much like OPI Extravagance but darker. And more holographic as well. I wish my pictures showed this beauty better. They simply don't do Blaze justice.